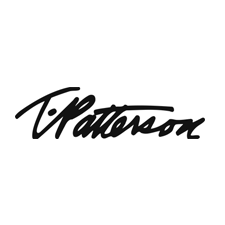 T Patterson Surfboards founded in 1980 by Timmy Patterson, a second generation board shaper with lineage dating back to the industry inception in the 1950s. Learning the industry first hand from both his father and uncles, Timmy Patterson has developed a range of high performance surfboards that fuse innovation, creativity and classic surfboard design. Through working with pros like Matt Archbold, Gavin Beschen, Pat O'Connell, Andy Irons, Christian Fletcher, Jordy Smith, Adriano de Sousa, Timmy Reyes and Bobby Martinez, Timmy Patterson surfboards bring functional yet innovative board shapes together to create high performance machines for all types of conditions.